The Guardian‘s iPad app has been downloaded 500,000 times since its launch in October, the British newspaper announced today. And that’s not all: from tomorrow, the app will also receive an upgrade to include the Guardian’s popular Weekend magazine. According to the newspaper, the app was downloaded 23,000 on Christmas day alone – beyond the Guardian, it confirms the importance of this date when it comes to digital downloads. Angry Birds, for instance, hit 6.5m downloads on that day, which makes the Guardian’s numbers almost look modest. However, let’s keep in mind that these figures are actually pretty impressive, considering that the app is not entirely free – the download itself is free, but reading the newspaper’s content will set users back £9.99 each month; the newspaper opted for a monthly subscription model through in-app purchases via Apple’s controversial Newsstand. Yet, it’s worth noting that the Guardian’s print subscribers receive free access to the app. As for other readers, they can also benefit from a series of free trials – at the moment, Channel 4 is sponsoring a three-month trial which ends on Jan. 13th. Freebies don’t end completely on January 13th however. Readers who download the app after that date will still get one week’s free trial before having to subscribe. If that’s not enough, a competition also gives UK residents a chance to win a year’s free subscription. The app itself has most features users can expect for that hefty price, including offline reading as well as integration with Facebook, Twitter and Instapaper. Some of the ads are interactive, and videos have been integrated to make the most of the tablet’s format. The addition of the Guardian’s outstanding Weekend magazine will make it even more complete. Its content, a combination of long reads, lifestyle articles, photojournalism and popular weekly columns, is particularly well suited to the iPad. The newspaper is well known for its successful experiences within the digital world. Its Facebook app, for instance, was downloaded 4m times in its first two months. As for its iPhone app, it has also been downloaded more than 500,000 times, including 86,000 paid subscriptions (from the UK only, as the app is free and ad-funded in the US). It’s not all about iOS though. 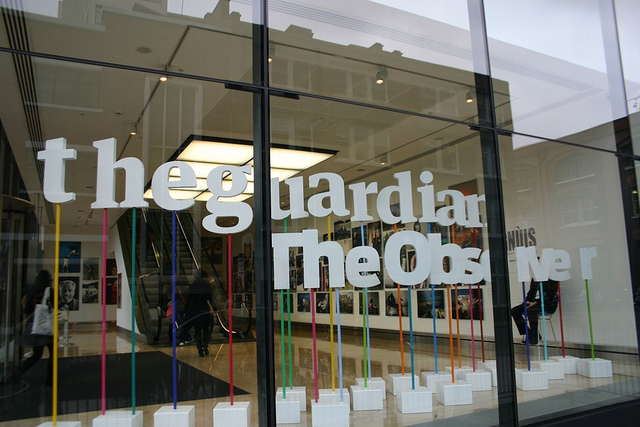 In September, The Guardian also launched a free Android app. Now that’s what we call putting digital first.